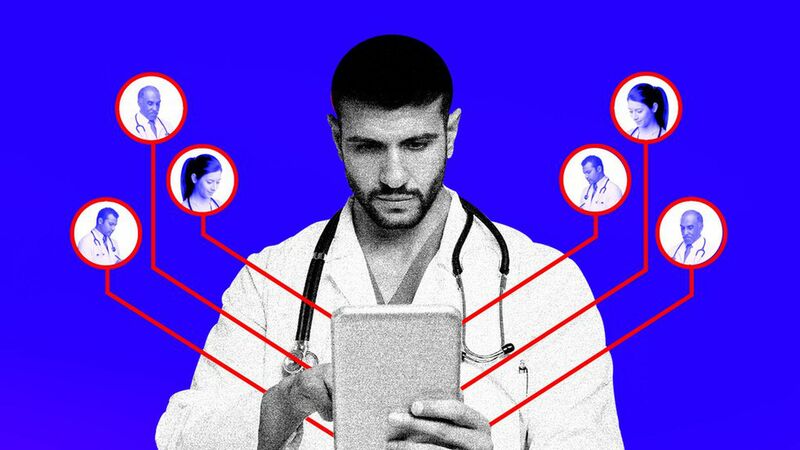 What if a doctor could use an artificial intelligence app to "crowdsource" the advice of specialists from around the country to double-check a patient's diagnosis? A group called the Human Diagnosis Project is getting a lot of attention for its initiative to help doctors do that in underserved areas — an initiative that got the backing of the American Medical Association last week. You can read more about the project elsewhere (here's a good writeup from Scientific American), but we wanted to check in with doctors to see how useful they thought the new technology would be. Turns out they had a few doubts. How do you know it works? Ethan Weiss, a cardiologist and associate professor at the UC-San Francisco School of Medicine, said he liked the mission of trying to help primary care doctors in areas without access to a lot of specialists. But he thought the crowdsourcing approach could be vulnerable "spitting out garbage ... I'm not sure how you'd begin to demonstrate that it works or doesn't work." The response: Justin Hamilton, a spokesman for the Human Diagnosis Project (also known as Human Dx), said it's "already in use and working," and is being used in top medical schools to train medical students. Can it really duplicate the doctor-patient relationship? Joel Zivot, an Emory University anesthesiologist, said a successful relationship depends on a patient who can accurately describe his or her symptoms, in a logical order, and a doctor who's a good listener. Those factors don't seem to be captured with this initiative, he said. The response: That's exactly how Human Dx works, Hamilton said. A doctor listens to the patient describe his or her symptoms, inputs the details plus the doctor's own observations into the system, and then Human Dx filters and produces advice from specialists around the world. Is it scientific? “Let's not call it a science yet. Let's just call it a business idea," said Zivot. The response: The project is working with medical experts from top institutions like Harvard Medical School and Johns Hopkins, Hamilton said. Why it could work: Rasu Shrestha, chief innovation officer at the University of Pittsburgh Medical Center, called it said he's a skeptic of “embracing AI for the sake of AI." But he said the Human Diagnosis Project system could be helpful by helping doctors avoid “red herrings" and see the full range of possible diagnoses. "I think it's a noble effort," he said. "It's trying to do the right thing." This story has been updated to correct the spelling of Dr. Shrestha’s last name.